EARN PREMIER STATUS FOR YOUR SCHOOL! 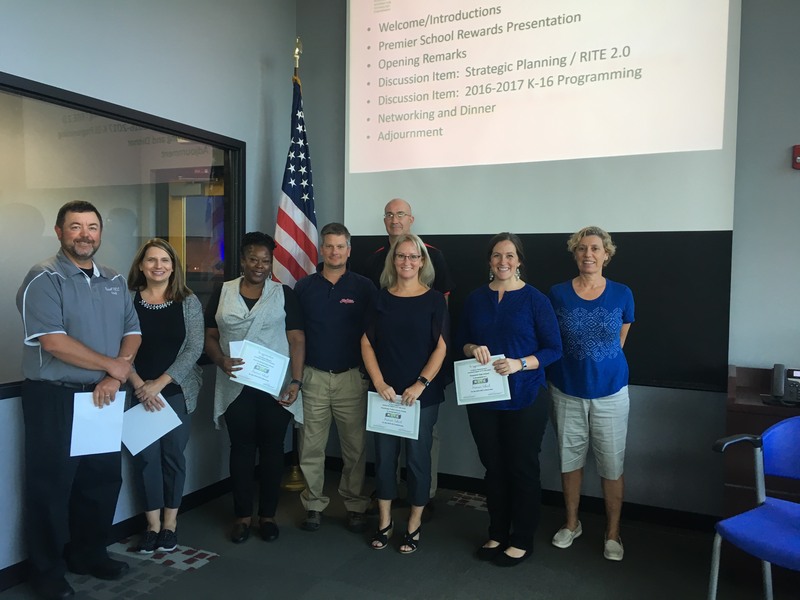 RITE helps increase awareness and understanding among educators of the IT resources available to them to help their students navigate their way to meaningful, well-paying careers in IT – the most in-demand jobs in Northeast Ohio. From across the region, teachers like you are finding ways to engage students in IT and Computer Science programs that help demystify IT as a career. These programs build interest, skills, knowledge, experiences, and the connections necessary to pursue IT careers. RITE also goes one step further to provides special recognition and rewards to highly engaged teachers. Teachers who promote, support and engage their students in multiple IT career awareness, exploration and immersive skills-based programs offered by RITE and its partners earn this distinction and qualify for benefits which include cash prizes, school recognition, early registration opportunities and unique engagement opportunities with IT business leaders and industry professionals. Sept. 2018 – Aug. 2019. Think of it as an IT career loyalty program. Each time you engage your students in a qualified activity, you earn credit towards rewards for you, your classroom and your school. This annual program kicks off in October 2018 and will conclude in October 2019 at the BusinessTECH 2019 conference, which will feature the 8th Annual Passport to IT Careers. Teachers qualify by enrolling their students in RITE and other program offerings and completing a simple year-end profile of engagement. RITE will recognize engagement across organizational offerings at all levels. The minimum qualification for Teacher Rewards is engagement in at least two RITE programs and at least one other qualifying activity. $200 to the qualifying teacher and/or school. For information on engagement with RITE as a partner, please contact Courtney DeOreo at 440-281-5615 or cdeoreo@ohiorite.com.